The noted small sugar pumpkin of New England. Also known as Sugar Pie Pumpkin, Pie pumpkin and Sugar pumpkin. 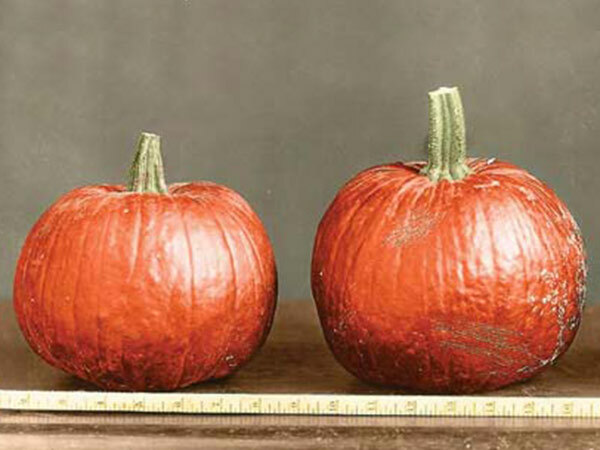 Dark orange-skinned pumpkins in a range of small sizes, typically 4-6 lb and six to eight inches in diameter. 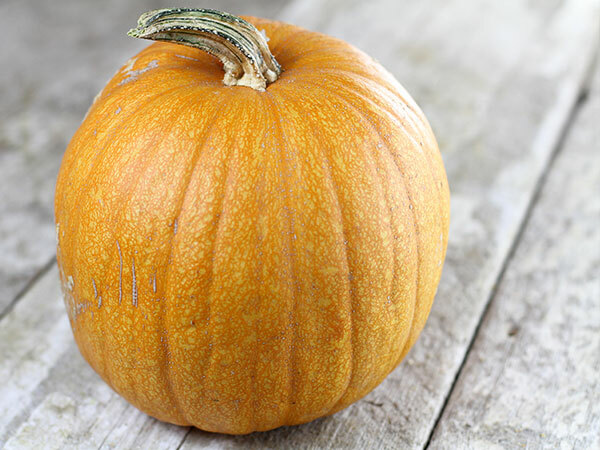 Although not as sweet as squash, the well-colored, orange flesh is relatively starchy, dry, and stringless. 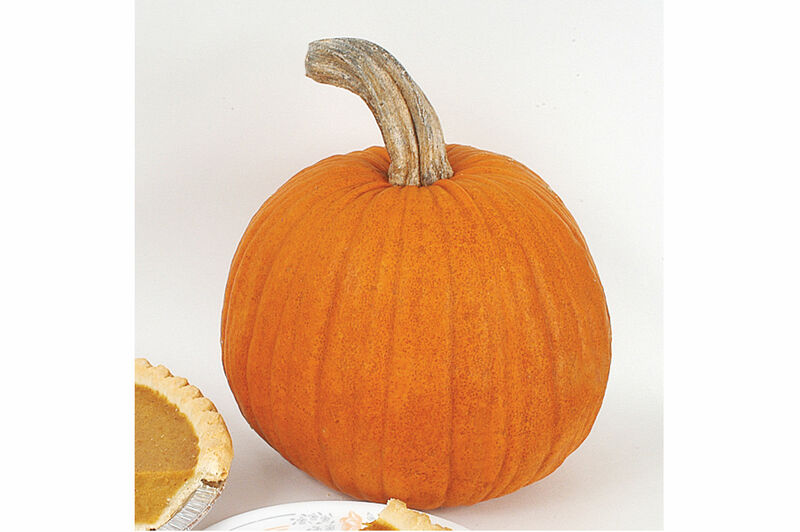 A well-known mini Jack O'Lantern type for pies. 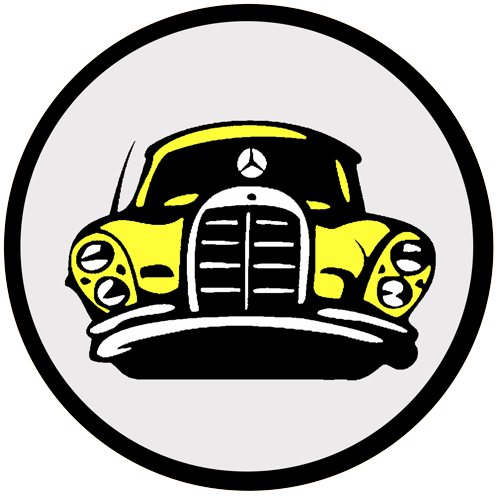 Avg. yield: 3-4 fruits/plant. Sugar Pie pumpkins are a dwarf variety pumpkin bread specifically for use in cooking. This heirloom variety is believed to be native to the United States. 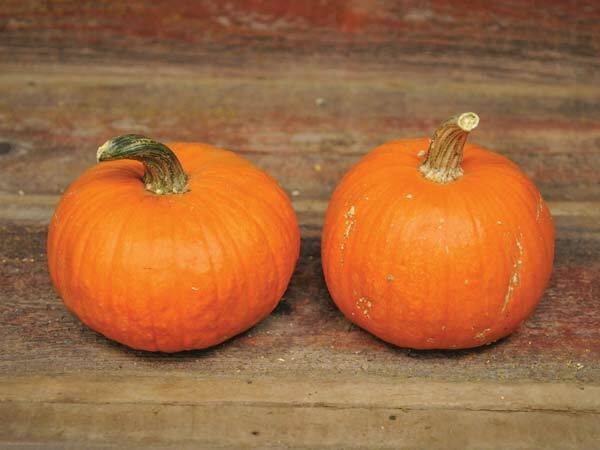 Growing on vines Sugar Pie pumpkins are an annual vegetable and easy to grow provided they are grown after the last frost has occurred. Described by Fearing Burr in 1863. Grown successfully all over USA, Saskatchewan, Canada (zone 2), Ireland. Nice flavour, easy to grow. Not successful in Florida; susceptible to bugs and pests.